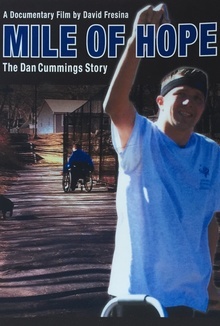 A young man learns how to walk again after a devastating accident left him paralyzed. In the summer of 2000, nineteen year old Dan Cummings suffered a devastating injury from a diving accident. He was diagnosed as a C-6 quadriplegic and was told by his doctors that he would never walk again. From the director of "Return To Dwight And Nile: The Crash of PSA Flight 182" comes this compelling true story of one young man's journey to overcome insurmountable odds and achieve his goals.